Saettele Jewelers is proud to support Ronald McDonald House Charities of St. Louis. The three Ronald McDonald Houses in St. Louis each serve as a home-away-from-home for families of seriously ill children who are being treated at St. Louis-area hospitals. These facilities and eight extended-stay apartments offer affordable or no-cost lodging and all the comforts of home to nearly 2,000 families each year. A family’s stay can be as short as one day to as long as one year. 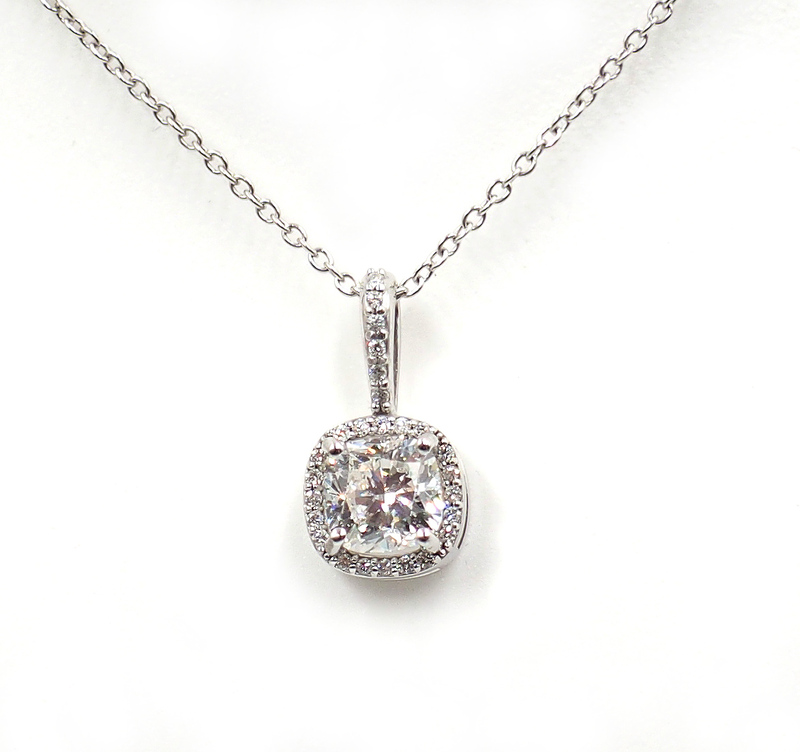 Saettele Jewelers has donated a beautiful 1.00 carat cushion cut diamond halo necklace valued at $7500.00 to be raffled. All proceeds from raffle will be given to Ronald McDonald House. Raffle tickets are on sale now through Thursday October 4th, when will be hosting a special open house from 4 – 8pm. The open house will include appetizers and drinks. We will also be featuring special jewelry collections from Simon G, Hearts on Fire, Zeghani, and Lagos. 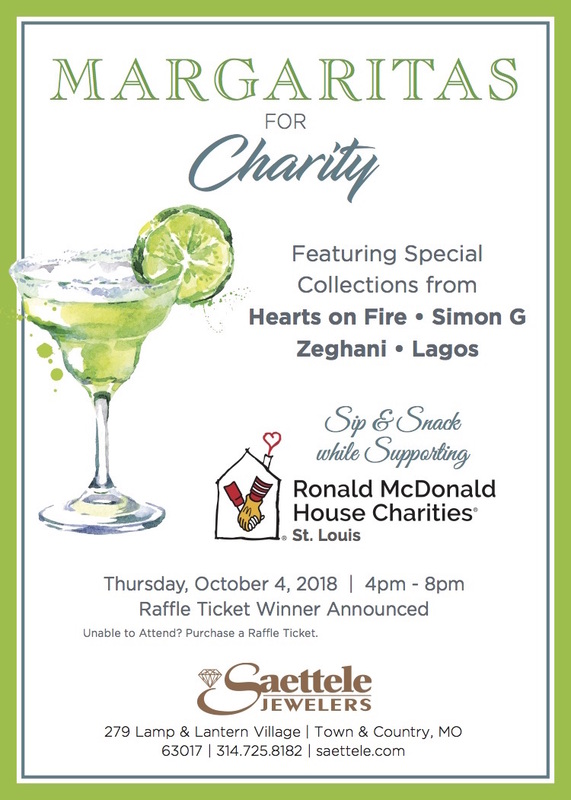 Help Saettele Jewelers support Ronald McDonald House so they can continue their great work in supporting families of seriously ill children.